India vs Australia 4th Test Sydney: Fans are bringing out their phone torches to get players back on the ground at the Sydney Cricket Ground on Day 4 of the final Test. 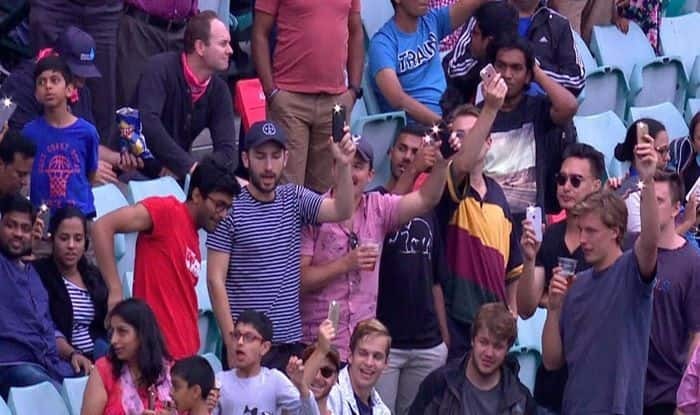 India vs Australia 4th Test Sydney: Fans are bringing out their phone torches to get players back on the ground at the Sydney Cricket Ground on Day 4 of the final Test. It is a great gesture to see fans are not bogged down that play has not happened and even when it finally resumed it did not last that long. 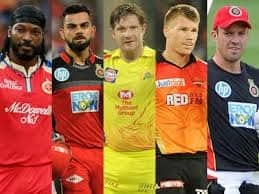 It seems fans from both the nations want cricket to take centrestage, especially when it is not raining and the stadium lights are on. An early tea was taken on Day 4 after India bundled out the hosts for 300 runs in the first innings and Kohli enforced the follow-on. Australia was 6/0 when play was stopped due to bad light. 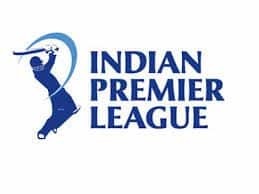 Kohli and his team would be desperate to get back on the ground as they are in with a chance of winning at SCG and win the series 3-1. Here is the video of fans bringing their phone torches out in a bid to get the players back on the field. At the time of filing the copy, the play has been called off for the day. Rain and bad light have ensured that this Test is going into Day 5. So, just 27.3 overs bowled today on Day 4. Play will resume at 10 am on Monday weather and light permitting. Meanwhile, India is on the cusp of creating history by becoming the first Test side to win a Test series on Australian soil.